I take my breaks at the cafe in the store where I work. 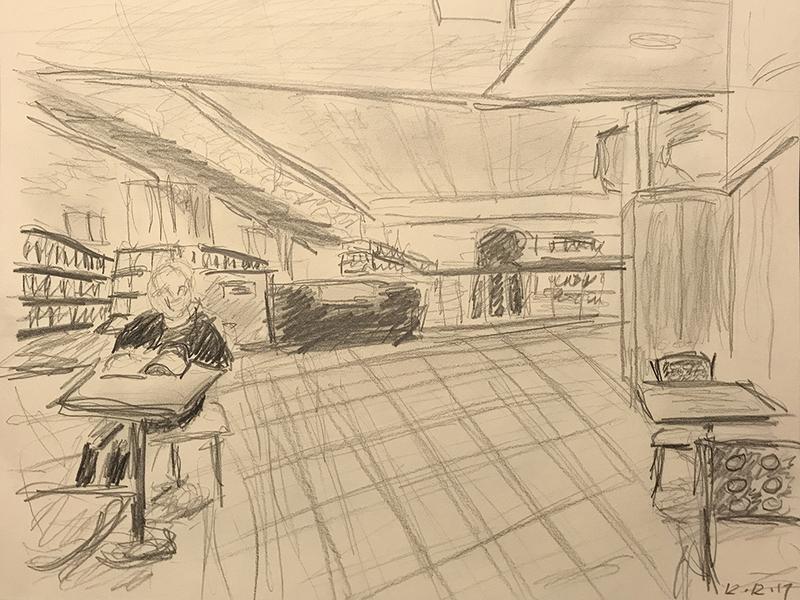 This entry was posted in Personal Stories and tagged art, artistic process, break from work, cafe, drawing, leisure, relaxation, sketching, visual arts. Bookmark the permalink.